The Eastern Caribbean Central Bank (ECCB) has confirmed receiving an application from Republic Financial Holdings, seeking regulatory approval to acquire the Bank of Nova Scotia’s operations and businesses in the Eastern Caribbean Currency Union (ECCU). An ECCB statement said the application was received on Tuesday, 27 November. According to the ECCB, pursuant to the Banking Act, it has commenced its review of this application. Scotia announced this week that it will be pulling its banks out of Guyana, St Maarten and the Eastern Caribbean territories of Anguilla, Antigua and Barbuda, Dominica, Grenada, St Kitts and Nevis, St Lucia, and St Vincent and the Grenadines. The ECCB disclosed that it has held initial discussions with the Central Bank of Trinidad and Tobago and the Bank of Guyana on the application by Republic Financial Holdings to acquire Scotiabank’s operations. “These regulators will collaborate on the review of this application. The ECCB will also confer with the Central Bank of St Maarten and Curacao,” the statement from the bank explained. It noted that the ECCB already regulates Republic Bank since it has an operation in Grenada and Republic also has a stake in a bank in Saint Lucia. However the statement said it has come to the attention of the ECCB that there is some speculation that Republic’s acquisition of Scotiabank’s operations in the ECCU could lead to the depletion of the foreign reserves that back the EC dollar. “Such speculation is unfounded and unhelpful,” the ECCB stated. “The proposed acquisition has prompted discussion about the ownership of banking assets in the ECCU. At present, 55 per cent of banking assets are owned by three Canadian banks and Republic Financial Holdings and 45 per cent of banking assets are owned by indigenous (national) banks. 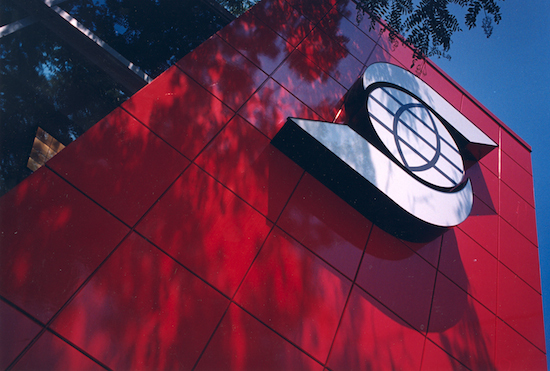 The proposed acquisition, if approved, would not fundamentally change that ownership distribution, as 55 per cent of the banking assets would be owned by two Canadian banks and Republic Financial Holdings and 45 per cent of the banking assets would continue to be owned by our indigenous (national) banks,” the ECCB statement explained. It said that from time to time, there will be changes in ownership of banks. “Indeed, the proposed transaction is the latest in a series of consolidation moves by the Canadian banks. It is distinctly possible that there could also be some consolidation moves among indigenous (national) banks. Citizens and residents in the ECCU should come to expect these developments as part of the banks’ response to both global developments and competition in the ECCU banking space. Indeed, the ECCB continues to encourage indigenous (national) banks to cooperate and consolidate to ensure the interests of the people of the ECCU are best served,” the financial institution stated. The ECCB urged citizens of and residents in the ECCU to remain calm and stay abreast of developments in the banking sector. We are so uneducated because most of the information is all hushed up,and you never get acces to the truth.Well I still have issues,what % will Republic bank aquire,and what % do they actually allready posses,of the Canadian banks.